Parents, you can’t have it both ways. Since ASD is truly a physical problem, it should be expected that real medicine is sometimes required in order to treat the situation. I am writing this in response to the numerous websites that claim not only improvement, but cures from products with the names such as ‘Focus’, ‘Calm’, ‘Attention’, ‘Healthy Gut’ or the like. 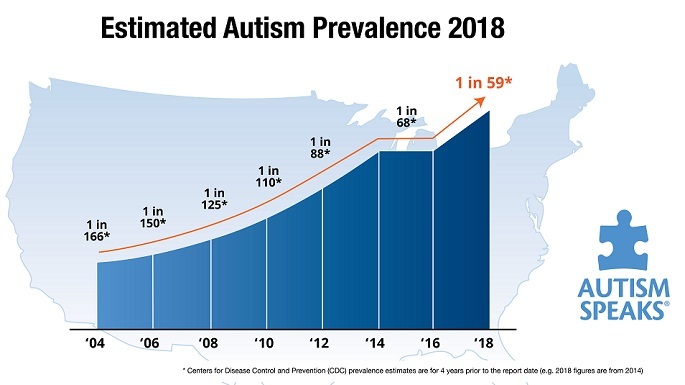 If supplements and vitamins were the only key to curing autism, there wouldn’t be an epidemic. When I began treating HIV infected patients in the last century, doctors weren’t sure 1) what AIDS was, 2) whether it was even a real disease, 3) what to do about it or 4) whether anything could be done at all. Patients trekked to Mexico for grape leaf therapy or sought alternative practitioners who offered vitamins and nutritional supplements. Sound familiar? Eventually, it was discovered that 1) HIV was an infection, 2) it was caused by a new virus, 3) treatment required anti-retroviral medications and 4) lives could be prolonged and complications prevented by aggressive treatment. Nowadays, alternative medical professionals can assist by improving general health and nutrition, pain, or additional complaints. It takes MEDICINE to really treat the primary condition. All medicines involve risks and may produce unwanted symptoms. Occasionally, other drugs are required to treat those side effects. Even ‘simple’ aspirin for rheumatoid arthritis can lead to stomach ulcers and bleeding that might possibly require surgery. Cancer chemotherapy is expected to cause nausea requiring potent anti-emetics and nerve damage which could possibly be irreversible. Liposomal oral glutathione has made a huge difference in my autism practice. It is inexpensive, comes in liquid form, can be given daily, and I can assess the effectiveness with a simple medical examination. By noting the improvement in muscle tone, I can assume that the patient’s energy production has become more efficient. Improvements in speech and language, eye contact, and cognition usually follow within weeks. It’s just a tiny protein – very natural – and, when given in small, increasing doses, it has predictable results. That is usually the easy part. However, there are two complications that require detailed explanations and counseling. The side effect of increasing a patient’s energy is that the patient has more energy! It sounds simple, but stims can become much more apparent, more repetitive and are a cause for concern. The brain is waking up. I wish that I could control just the sleeping parts, but we haven’t come that far yet. New stims may emerge and old ones may return. Teenagers usually lose most of their self-stimulatory behaviors, anyway, so the acquisition of speech and language and improvements in autistic ‘fog’ are the fundamental goals of therapy in young children with ASD. Even more concern comes from an apparent increase in ‘yeasty’ behaviors. My practice has become quite successful in treating symptoms such as rashes, diarrhea, constipation, sleep disturbances, regression and ‘silliness’ with very low dose fluconazole, which is an anti-fungal medication. Yeast overgrowth in the gut is a significant problem with autistic patients anyway, so possibly increasing that problem by administering oral glutathione causes parents a great deal of anguish. There is an abundance of ‘advice’ on the web and among parents about this effect. Also, there is often a visible ‘die-off’ effect from the administration of this medication. Patients can exhibit the same ‘yeasty’ behaviors that initiated the therapy. I often use this reaction as a clinical clue that we are the right track. These symptoms typically abate with 1 to 2 weeks of treatment, and activated charcoal (to trap the poisons that dying organisms frequently excrete) helps to ameliorate that effect. The medication does not ’cause’ liver damage; there are only rare reports of an associated liver toxicity. For this reason, I always palpate the patients’ abdomen and examine their eyes and skin for signs of jaundice. With prolonged use (greater than 3-6 months continuous), a comprehensive metabolic profile is ordered to insure that there is no enzyme elevation, which is a laboratory measure of liver integrity. With the thousands of doses that have been administered, there have been no such complications in our practice. Another anti-fungal medication, oral nystatin, is often suggested as a superior alternative since it is minimally absorbed in the body. However, this choice is not without it’s own complications; including oral irritation and sensitization, diarrhea, nausea and vomiting, G-I upset and other gut disturbances. More importantly, in my clinical experience, this therapy simply does not work nearly as effectively as the fluconazole. Then, there are the ‘natural’ anti-fungals such as circumen (turmeric), citrus seed extract, berberine, uva ursi, oregano and the like. Not only do I find that these remedies are not successful in killing yeast, each one has it’s own potential complications. I have not found them to prevent fungal growth unless there is significant improvement in gut health. Great strides have been made in the treatment of autism by utilizing this protocol of oral glutathione, combined with appropriate nutritional support and addressing G-I health (and, as always, providing traditional S&L, OT, PT and ABA). I believe that the addition of fluconazole to treat the complications of this low-cost, low-risk regimen is a small price to pay to help improve and recover so many affected individuals. And, I intend to continue my research to find safe, acceptable, effective alternatives. This entry was posted on Thursday, August 16th, 2012 at 7:09 pm	and is filed under >ALL<, AD/HD, Alternative and Complementary Medicine for ASD, Patient experiences. You can follow any responses to this entry through the RSS 2.0 feed. You can leave a response, or trackback from your own site. Probably your best most recent post, Doc. With respect …‘natural’ anti-fungals such as circumen (turmeric), citrus seed extract, berberine, uva ursi, oregano… ARE NOT homeopathic remedies. It is fitotherapy. Phytotherapy (fitotherapy) is the science of using herbal products as nutritional supplementation. It therefore covers everything from plants with powerful actions to those with very gentle action, such as chamomile, mint, and many others. I am sure that it is mistake. All the best!